It’s coming soon: that school year train that hits you every fall and school anxiety goes right along with it. The daily out-the-door frenzy. The scramble to load everything and everyone into the car. The inevitable landslide of backpacks, lunchboxes, and school papers. If you don’t take some time to gear up for it, going back to school can really throw you for a loop. And if you don’t stay caught up with your children’s school life, you may feel constantly behind. Professional organizer Jodie Watson says it doesn’t have to be this way. She recommends that parents take some simple organizational steps now before school anxiety starts. Watson recommends using the summertime to purge toys and clothing and to think about how to organize your home once it’s back to school time. “You want to start the school year fresh,” she advises. “You need to make more space. Because, when it comes to school, more is always coming.” Watson says that the key to a smooth running school-year is creating structure at home. “The school year is about routine,” she says. “The kids need to know that their bag goes here, their coat goes there. 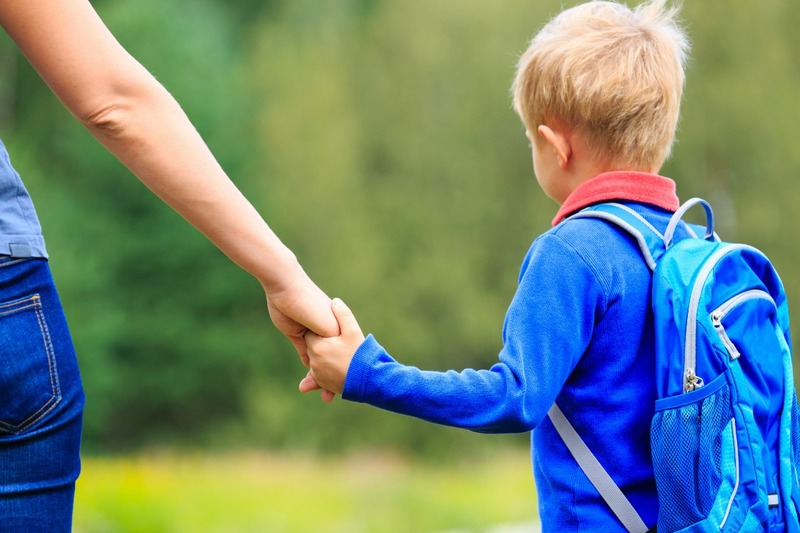 It works in school and it can work at home.” She recommends taking your cue from your child’s teacher: instruct kids on the picking-up-after-yourself routine early on and practice it patiently with them until it becomes habit. “It’s easier for us to pick up after our kids,” she admits. “But teaching them to do it themselves will pay off later. It’s more work to follow them around.” Watson says it’s essential to have a process when you come into the house. Instruct kids to return their backpacks to a designated spot, unpack their lunchboxes, and get out their homework. She notes that parents must create those places for their children to store their belongings and to do their schoolwork. Watson suggests setting aside a location to do homework to help alleviate school stress. Stock that area with extra school supplies like paper, pencils, pens, glue, markers, and a dictionary or calculator, she adds. She also encourages parents to develop a system for school papers. Some, like permission slips and important forms, need to be signed quickly and returned to school. Those, she says, need a prominent place on your desk or in another central area. School assignments, art, and other class work and projects can be stored in an over-sized storage bin labeled for each school year. At the end of the year, clean out everything, saving a few favorite projects or major assignments.